Organisations, under the banner of Citizens’ Rights Protection Co-Ordination Committee, demanded the extension of the timeframe in view of panchayat elections. GUWAHATI: With only about 18 per cent of the over 40 lakh people left out of the complete draft of National Register of Citizens (NRC) having reapplied so far, 43 organisations in Assam’s Bengali-majority Barak Valley bordering Bangladesh demanded the extension of the December 15 deadline for submission of claims for inclusion of names in the document. In a petition submitted to NRC state coordinator Prateek Hajela, the organisations, under the banner of Citizens’ Rights Protection Co-Ordination Committee (CRPCC), demanded the extension of the timeframe in view of panchayat elections. The CRPCC said as the two-phase polls would be held on December 5 and 9 followed by counting on December 12 and as the officials of NRC seva kendras (NSKs) would be involved in election-related duties, those left out would struggle to collect necessary documents and might not be able to file claims on time. The CRPCC also highlighted alleged high-handedness by the officials of a section of NSKs who allegedly raise unnecessary objections when people go to file claims for inclusion of their names in NRC with whatever documents they have. It urged the NRC authorities to ensure that the NSKs do not harass the applicants. 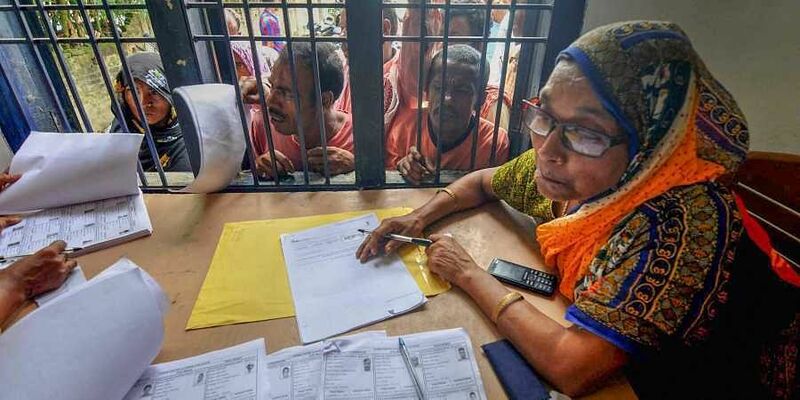 Meanwhile, highlighting the panchayat polls, the state’s BJP-led coalition government has urged the Supreme Court, under whose direct monitoring the NRC in Assam is being updated, to extend the deadline for submission of claims. BJP state unit chief Ranjit Kumar Dass said every individual should get a fair chance to get his or her name included in NRC. The complete draft, published on August 31, had the names of 2.89 crore of the 3.29 crore applicants. The applicants were asked to submit any of the 15 documents such as land-related document, passport, bank or LIC documents of pre-1971 etc for inclusion of their names in NRC. The NRC is being updated with March 24, 1971 as the cut-off date. This means the foreigners, who migrated to Assam after the NRC cut-off date, will be viewed as illegal immigrants.